Well, here's another FACT that disputes all the bogus science of the global warming climate change alarmists. The ice caps aren't melting; they're growing. Not only that, but it's causing the ocean levels to shrink not rise. My goodness, how can that possibly be since the experts tell us the ice is melting, the oceans are rising and the coasts will be underwater sometime soon? The answer? Maybe, just maybe, their models are faulty and their motives aren't as pure as the new fallen snow. Now how can I possibly suspect the motives of scientists? We all know that they, unlike those religious people who cling to their bibles and guns, have no agenda to push. They are rational, not emotional and psychological slaves to the giant teapot in the sky (as Richard Dawkins once put it so eloquently). The fact is that data manipulation and plagiarism plague the scientific community. Recently a biology journal banned plagiarizers for three years and pledged to notify their institutions. There's a website called "Retraction Watch" following the hundreds of scientific papers retracted because of manufactured data. The Brits reported on this in 2010 warning that "US scientists are significantly more likely to publish fake research than scientists from elsewhere." So the next time someone gets up on his scientific high horse attacking religion as unscientific, think of him with a clown nose and a big ruffle around his neck. 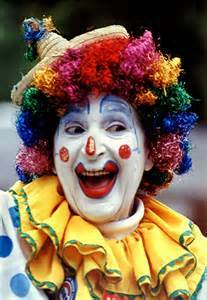 Many so called scientists are just that -- clowns who deserve a big guffaw!